If you use BigCommerce, follow these steps to add the Zopim widget to your site. Log into your store BigCommerce Control Panel. Click Design > Template Files. Find the Footer.html file and click Edit. 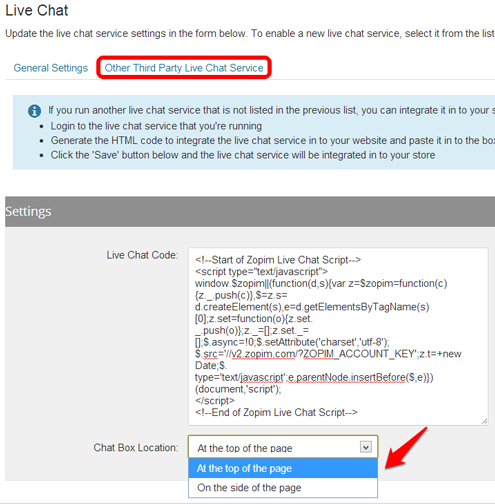 Paste your Zopim live chat script in the file directly before GLOBAL_DesignModeHTML. Log into the BigCommerce Control Panel. Go to General Settings and select the Other Third Party Live Chat Service check box. 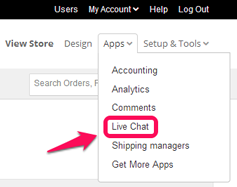 Click Other Third Party Live Chat Service and paste your live chat script in the Live Chat Code field.